Last week my students helped me explain how we use smartphones, tablets, and laptops in our class daily to learn in new ways. I had to opportunity to present to a group of teachers and administrators at the Blue Ribbon Schools of Excellence conference in Disney World (where is was 75 degrees) while still at Reading Memorial High School in Massachusetts (where it was 12 degrees). Thanks to some fine work by many members of our technology staff, we were able to video conference with the professionals in Florida along with Jennalee Anderson's 7th grade classroom nearby in town using Cisco's Jabber software. Nine of my sophomore history students helped me explain how we use devices in class every day. I'm the one wearing green standing in the back. Our library media specialist, Sharon Burke, is standing next to me in the middle. My students used iPads, iPad Minis, iPhones, Surface tablets, or any other device they bring to school and use on our BYOD (Bring Your Own Device) wifi network. They talked about how we used their devices in class the day before to learn about the Temperance Movement in the early to mid 19th century. QR Codes: They demonstrated how they use QR scanning apps to access all the resources and links needed for the lesson. This keeps our class paperless and allows them to access class materials anytime day or night. There is no text book or handout packet to lose or forget in a locker. 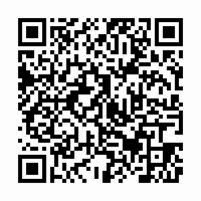 Scan this code to see resources for our recent class on the Temperance Movement. 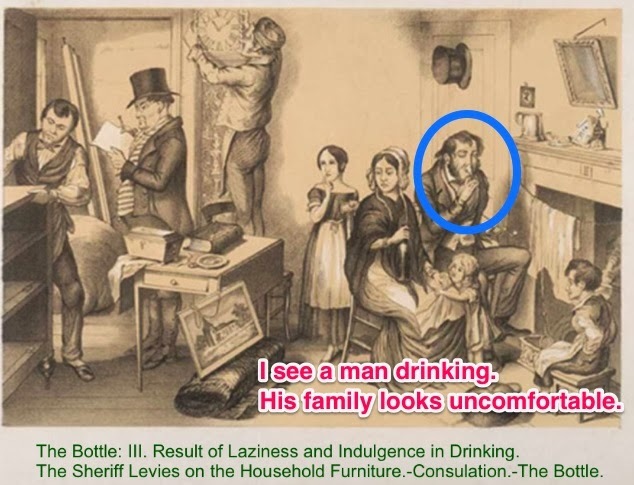 Skitch and Evernote: They showed how they upload primary source images to Skitch and then annotate them as they evaluate their meaning within the historical context. Then they add that image to Evernote, which they use to keep track of everything they learn in class. No need for a spiral notebook or three ring binder. 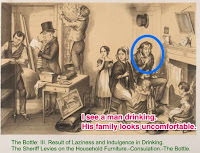 These are examples of publications created by temperance activists annotated by a student. 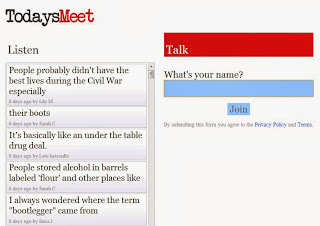 Backchannel: Students talked about online chatting, called backchannel, during documentary films in class. They explained that it saves us time because we don't have to have a discussion after the film is over since we've already had it. The discussion is much more lively than a typical teacher-directed classroom discussion. Also, they like it better than filling in a worksheet as they watch. Click this screenshot to read the transcript of our backchannel chat while viewing part of Ken Burns's Prohibition. Throughout our short presentation I was amazed at how well they spoke and demonstrated the apps. They also understood how their learning had changed because of the activities the devices have allowed us to do. I asked the participating students to write a short reflection about participating in a real world professional presentation to adults and how it made them feel. Participating in the national conference was a really great opportunity. It was cool to be a part of something that may help other schools successfully integrate technology into their classrooms. I enjoyed being able to share a bit of my everyday life to people who could make a difference in schools. It was interesting to talk with other people who want to learn about BYOD. It was cool to see how the use of iPads had changed middle school classrooms. I wanted to show other people how our paperless classroom functions. Demonstrating the benefits of piloting a paperless classroom to an unknown yet interested audience was a unique experience. Being able to show teachers the advantages of using a device oriented curriculum will hopefully help transition classrooms into a more technology encouraged environment. As technology use improves so can the quality of learning. They were presenting to a broader audience and therefore indirectly making a difference in classrooms across the country. Their learning has changed because of technology integration in our history classroom. Not only were they presenting about BYOD, they were learning about other ways BYOD is being used in other classrooms. I learned that I need to provide my students with more opportunities to share their learning with broader interested audiences. 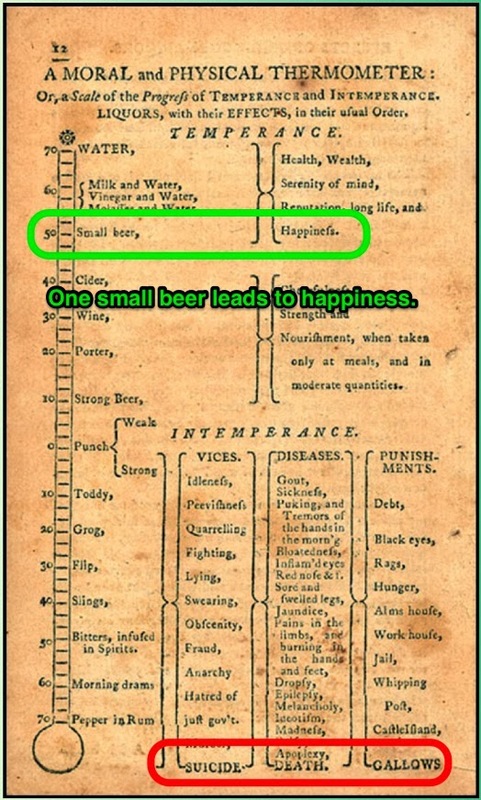 Perhaps a new year resolution is in order. Yes, my classroom is paperless. No, you don't have to buy your kid an iPad. My classroom feels different than ever before. It's more vibrant. My relationships with my students are different than ever before. They're better. I'm in the midst of my 12th year of teaching, and I have the idealism and workload of a first year teacher all over again. Because BYOD (Bring Your Own Device) along with a few supplemental devices has empowered me as a teacher and my students as learners. I'm planning everything I've taught before in brand new ways. While we are in class for 55 minutes together, I'm doing less teaching and my teenage students are doing more learning. And I don't use paper. At all. Sound suspicious? Unorthodox? Do you have concerns? Concern #1: I know it seemingly goes against everything we've been taught as parents to take the plunge and purchase a breakable piece of technology worth hundreds of dollars and hand it over to a 14 year old. They're irresponsible, distracted, and materialistic. Response: Use the opportunity to teach them responsibility. Three of my students worked to earn the money to buy themselves tablets within the first three months of this school year. They had jobs at supermarkets, worked as babysitters, or even toiled away at yard work for a neighbor (snow is here... shoveling is a distinct possibility!). Because they were spending their own money, they researched and compared tablets, netbooks, and laptops. Each student ended up choosing a different product, but they are confidently and proudly using their devices in class. Concern #2: Some kids are too busy to hold a job and earn their own funds. They are in three clubs and play four sports. They carry 4 honors classes. Maybe parents of those kids feel like they deserve their own electronics. But schools are all about iPads, and iPads are the most expensive option out there. Why does it have to be iPads? Response: It doesn't. Not everyone in my classroom has an iPad, iPhone, iPod, or iAnything. And yet, we all complete the same tasks. Sometimes we are all able to use the same apps, sometimes not. But when I ask the students to research information or complete a task, it doesn't really matter which app they use. What matters is that they are developing the problem solving skills to use what they have to do it. Here is just a small sampling of students in my classes today using non-Apple products to have the exact same learning experiences as everyone else in the room. Again, all of these pictures were snapped in one day in my classroom. Notice that their screens all look completely different. Concern #3: There is a lot of research out there about the dangers of screen time and the lack of person-to-person interaction. Do we really want to encourage teenagers to spend more time looking at their phone/tablet/laptop screens than they already do? Response: In my classroom, they are talking to each other, helping each other, and working together MORE because of the technology. When designing presentations, some group members are researching, some are creating illustrations, some are snapping pictures or filming, and still others might be narrating the work. Just this week I had one group of students working together on a presentation about the 19th century common school reform movement. Sound boring? It wasn't. Each was using her/his own device, but none of them were on the same app. They were browsing the notes on our class website, creating an animated presentation in Prezi, watching clips on YouTube to link to the Prezi, searching for copyright free images to illustrate the Prezi, and reading primary sources from a database our school subscribes to. In the mean time, they were sharing their finds, making suggestions to one another, and they never stopped talking. Their product was personalized, engaging, and based on their research and design. Before technology, that same group would have been made up of one student writing on a poster board while the others sat around glazed over with a book and a packet of handouts in front of them. The result would have been based on their teacher's research, not their own, and it certainly wouldn't have been engaging. Technology is teaching them to interact better and create more interesting real world products. So I don't have a broad research study to counteract the studies and articles put out there by psychologists, but I know what is happening in my classroom. If some kids still don't have time to get a job, or if parents still don't think spending the money on a device for their teen is a worthwhile investment, or if it just isn't possible as part of their family budget, no worries. I'm lucky enough to have a few devices to supplement what my students are able to bring with them. NO ONE in my classroom goes without a tablet or smartphone. In the mean time, I promise I am changing the way your child learns. Go ahead, ask your high schooler what he/she did in Mrs. Gallagher's history class today. I bet they will remember. And if *gasp* they can't, it will take mere seconds to look up notes, artwork, video clips, and primary sources from today's class on the nearest device with internet access. I let my students decide again. I asked them if they believed that one person can make widespread change. Their answers were mixed. I showed them this commercial from YouTube. It had to be inspiring, touting the power one individual can have to make real change. It had to use and cite primary sources. This is what they looked like while working. Every group seemed to choose a different combination of applications. They were even testing new ones that I haven't introduced yet like Doceri and Haiku Deck. This is what my classroom looked like ten full minutes after the last bell of the day had sounded on a Friday! For real, people, these are 15-16 year olds who have been through a full 5 day week of classes, and the first week of winter sports tryouts in many cases, and they stayed after on a Friday for a history project. Whaaaat? Their projects aren't due until Tuesday, but here is a preview I've received of one part of one project. I'll add more projects as they trickle in this weekend. I'm excited about a Prezi I saw that made a connection between the education reforms of Horace Mann and the heroics of Malala Yousafzai. I'll update this post with it as soon as they finalize it and send it to me. Overall, I'm impressed with my students' work ethic and work products when I give them the power of choice. As teachers we are often pleading with parents, students, and administrators to trust us and our academic choices. Perhaps we need to start returning the favor and trusting our students more as well.